The MLB trade deadline is in the rearview mirror. And while the Giants still have the second best odds of winning the World Series, the actual numbers got worse. The Orange and Black's odds are now 13/2. At the All-Star break, when the Giants boasted the best record in baseball, their odds were 11/2. But San Francisco is just 4-11 over its last 15 games, and the lead over the Dodgers in the NL West is down to two games. On the morning of June 27, the lead was eight games. Last Thursday, the Giants acquired Eduardo Nunez from the Twins. He's now the team's everyday third baseman. 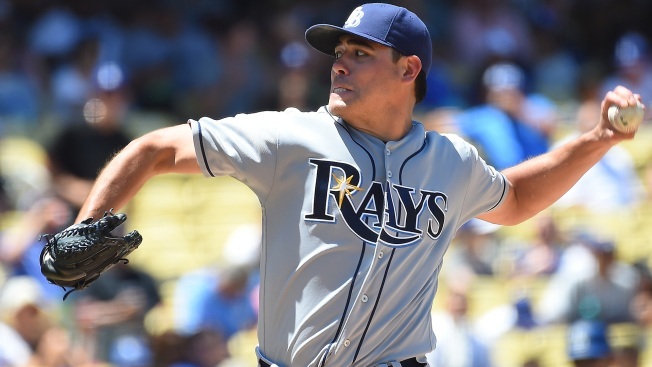 On Monday, the Giants added left-handed starter Matt Moore from Tampa Bay, and left-handed reliever Will Smith from Milwaukee. The Cubs will host San Francisco in a four-game series in early September.